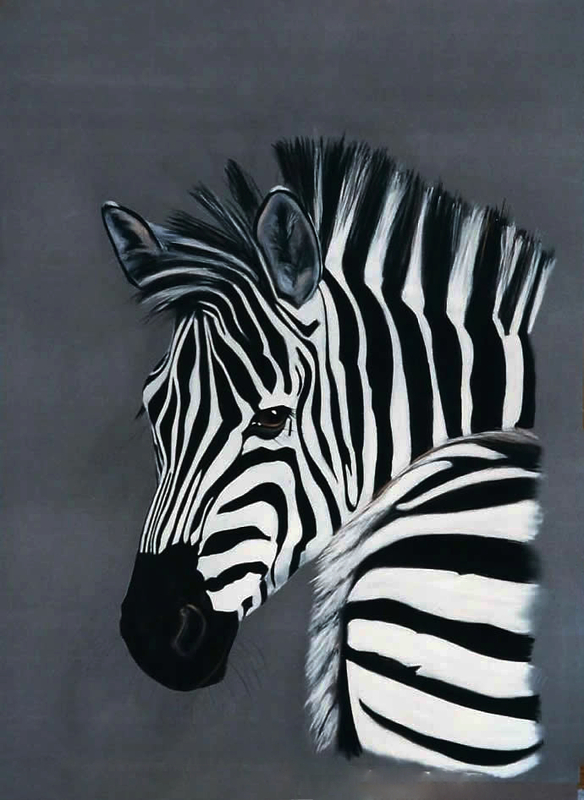 am an international award winning artist. 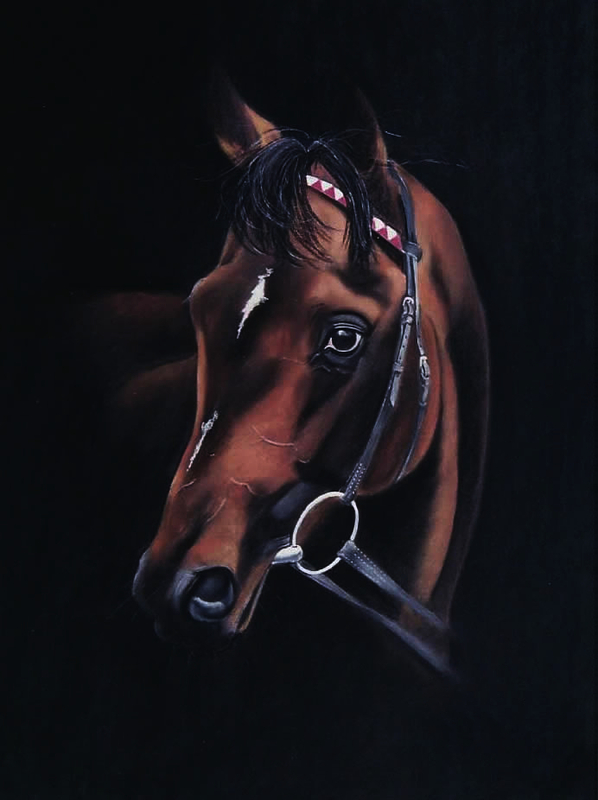 Jaki Houston-Campbell (nee Houston) is an international award winning artist specialising in Equines and wildlife. 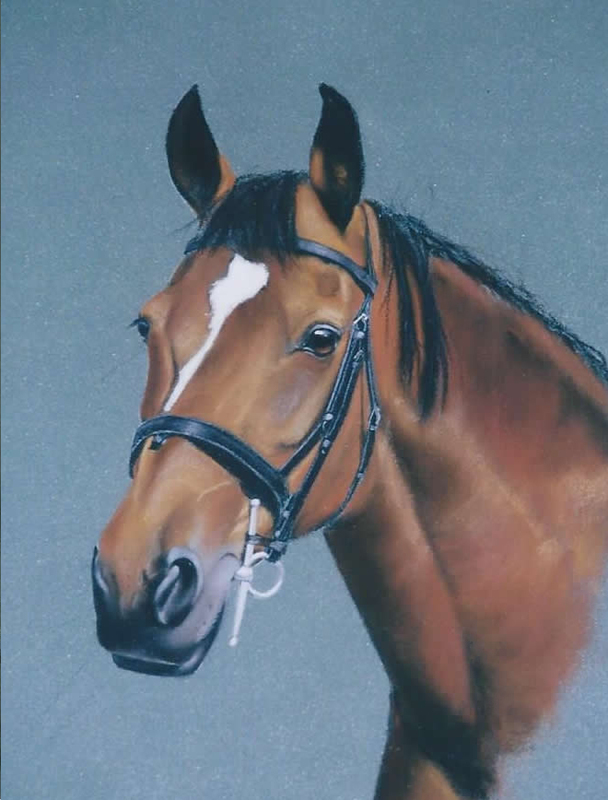 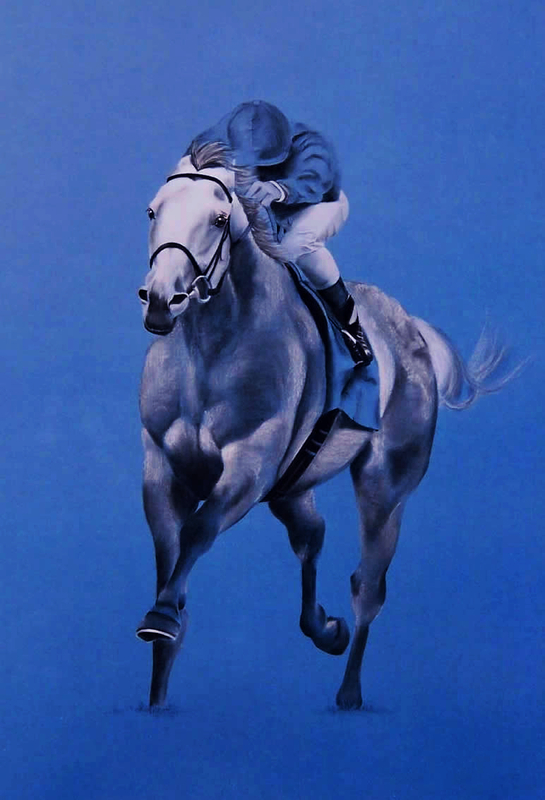 The image to the left is a half life sized image of the great horse Daylami using only white pastel and charcoal. 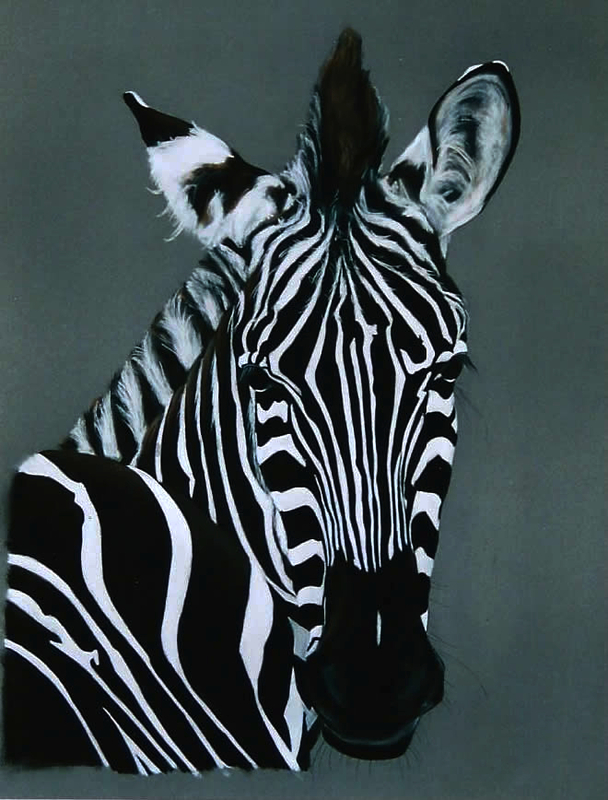 Jaki prefers to work in pastel and charcoal to produce highly detailed work.